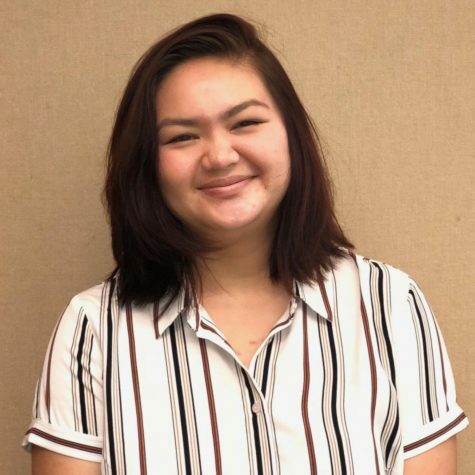 A junior at Seabury Hall with an overactive imagination, Taylie Kawakami is constantly searching for outlets to control the overflow of continual inspiration. While some of her side passions include intense studies into zoology, cooking, and traveling, the main thing that motivates her in life is her artistic zeal. From a young age, she has always been attracted to bright colors like red and yellow, for dull colors always seemed to drain energy out of her. Vibrant pigments always seemed to motivate her to put her thoughts on paper. Throughout her life, her artistic mediums have ranged from watercolor to oil paints to storytelling. Art allows her to not only express her creativity in a variety of ways, but also relieves stress and pent up emotions. Her love for zoology, specifically safari and reptiles, and a deep appreciation for foreign cultures heavily inspire her artwork. Her unique style of thinking has lead Taylie to write out-of-the-box articles that not only report, but also present solutions to modern problems leading to thoughtful insight.